Does your dog need a dog coat? This depends on several factors. The most important factor is your dog's type of fur. Dogs that live outside all year round will adapt to the cold. Because they adjust their fur thickness to the climate they live in, they are less likely to be cold. This is also the case for dogs that have a double layered fur and thus get enough warmth from their own coat. Short-haired or smaller dogs can have a lot of trouble with colder climates, as well as older or sick dogs. A winter coat for dogs or dog raincoat could help. When buying a dog coat a number of things are important. Make sure the dog coat fits well and that it is also water repellent. To determine the right size for your dog you measure the length from neck to beginning tail. Furthermore, your dog must have sufficient freedom of movement to be able to walk properly. At Vetsend, you will find dog coats in all shapes and sizes, such as those from premium brand Hurtta. Take a look at which coat suits your dog best! Is it raining outside and do you still have to go for a walk with your dog? We tend to quickly grab an umbrella or our rain suit. But do also you protect your dog against the rain? 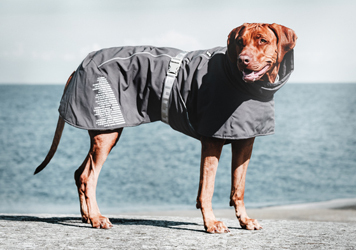 At Vetsend you will find different raincoats for your four-legged friend. This way your dog will not be completely wet after a walk. 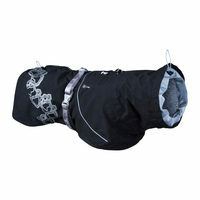 The Puppia Base Jumper Dog Raincoat is a good example of a proper raincoat. This raincoat has a high neck, so your dog is protected from head to toe. 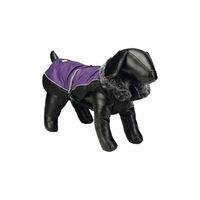 In addition, there are also reflective details incorporated in this jacket, making your dog clearly visible in the dark. 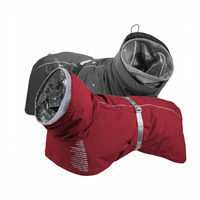 Another great reflective dog coat that can be used during the winter and rain season, is the Charly Reflecting Coat. We dress up warm during the cold winter day, but we often forget our dog. Some dogs benefit a lot from a warm winter coat. Your pooch will then be able to walk comfortably without freezing. At Vetsend you will find different winter coats for dogs. 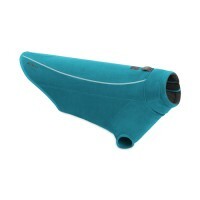 For example, have a look at the Hurtta Extreme Warmer. 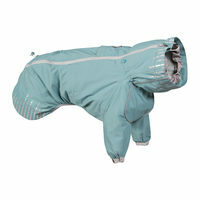 This jacket offers your dog protection during the coldest weather conditions. 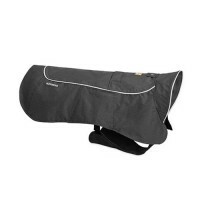 The special lining reflects the body heat of your four-legged friend. In addition, this jacket is waterproof and breathable. Has your dog just been swimming or did he have a nice bath? It often takes a long time before your dog's coat dries up. A bathrobe can help in this case. 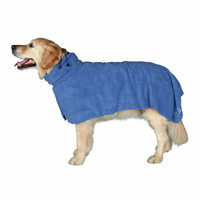 A dog bathrobe absorbs the moisture in your dog's coat. This way your dog will be dry in no time. Would you rather not have wet paws on the carpet or in the car? 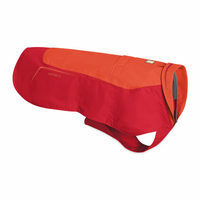 Take a look at the Weatherbeeta Drying Bag for Dogs. 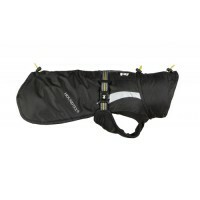 This is a dry bag that also covers your dog's paws. Your dog has enough room to move and you don't have any dirty footprints on the floor!